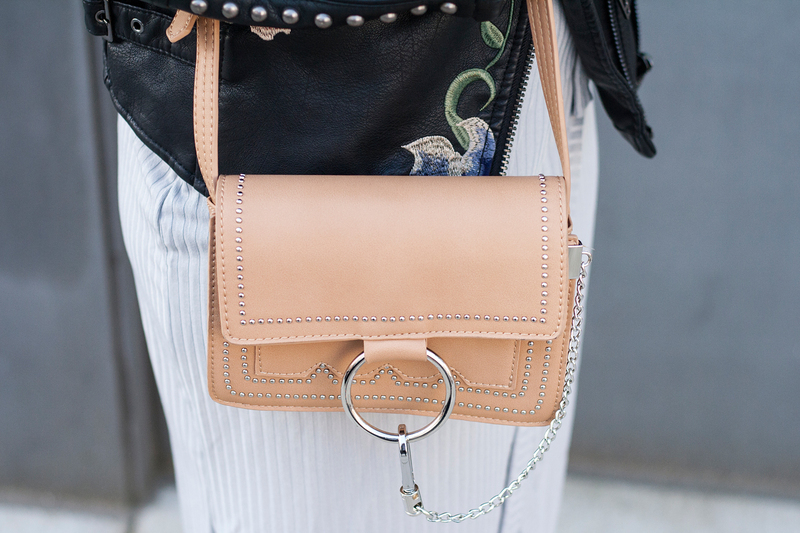 I adore feminine styles but I am also drawn to edgy pieces. When the two are combined... Boom! I get the best of both worlds! 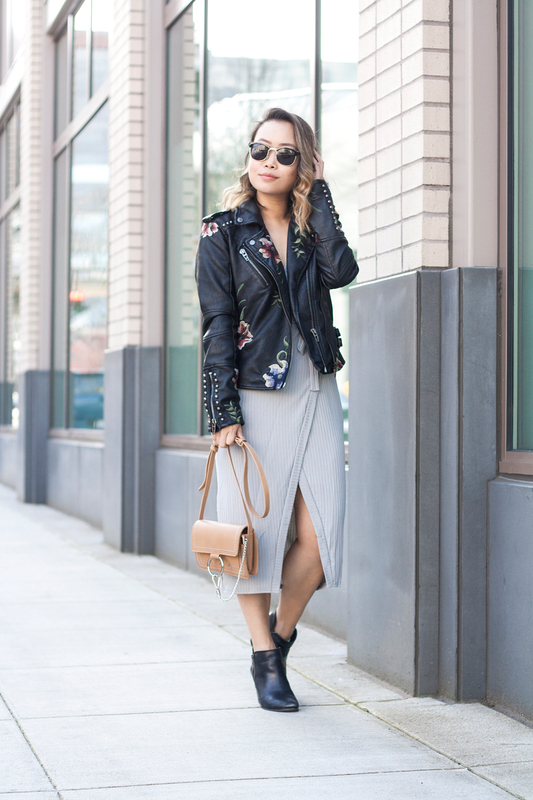 Here is one of the many outfits I wore during my travel in Portland. 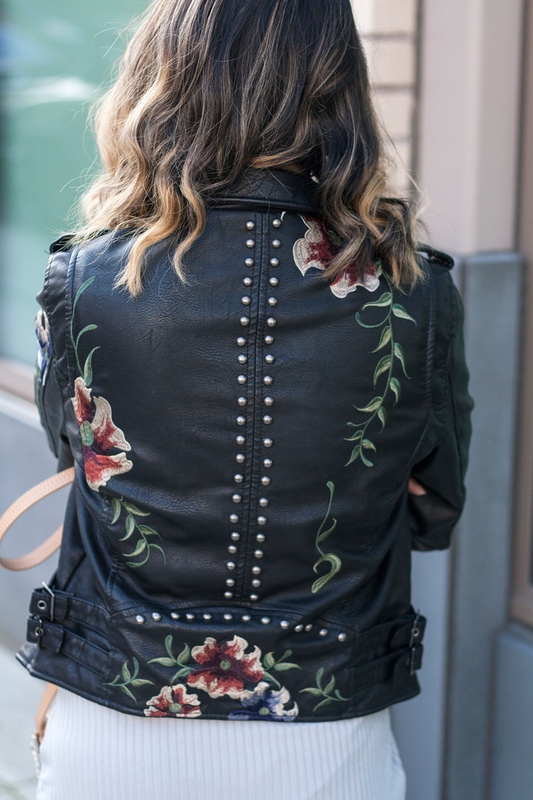 This leather moto jacket with floral and studded details is everything! I am so in love with it! 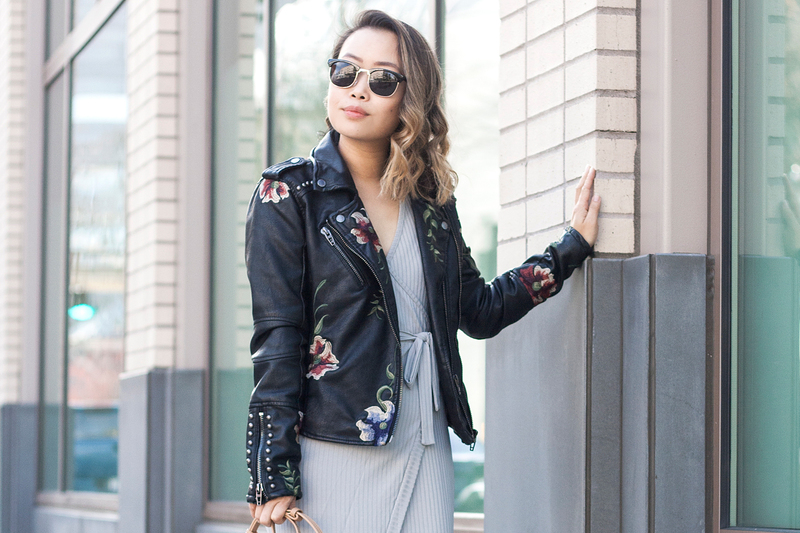 I paired it with a faux wrapped midi dress, simple black leather booties, and a cute studded purse. Portland was a bit chilly but hey I rather be cold and have a nice outfit! 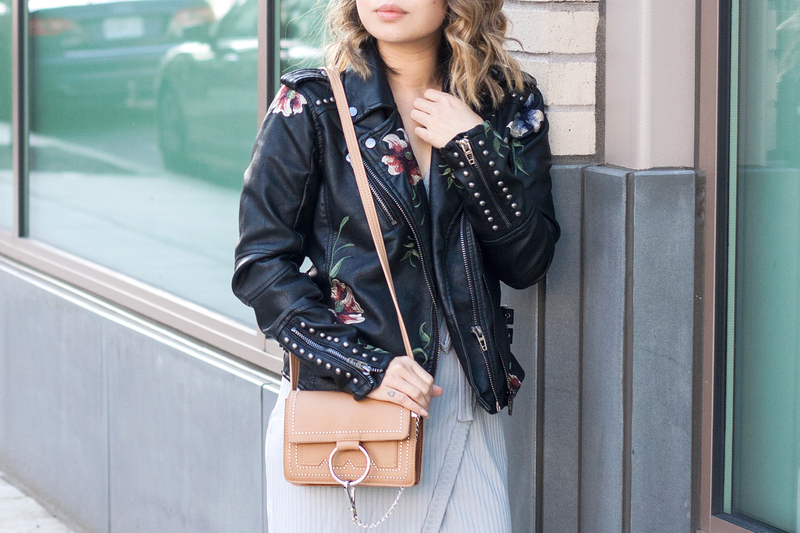 Floral and studded leather moto jacket by Blank NYC c/o Lulu's. Faux wrap midi dress from Boohoo. 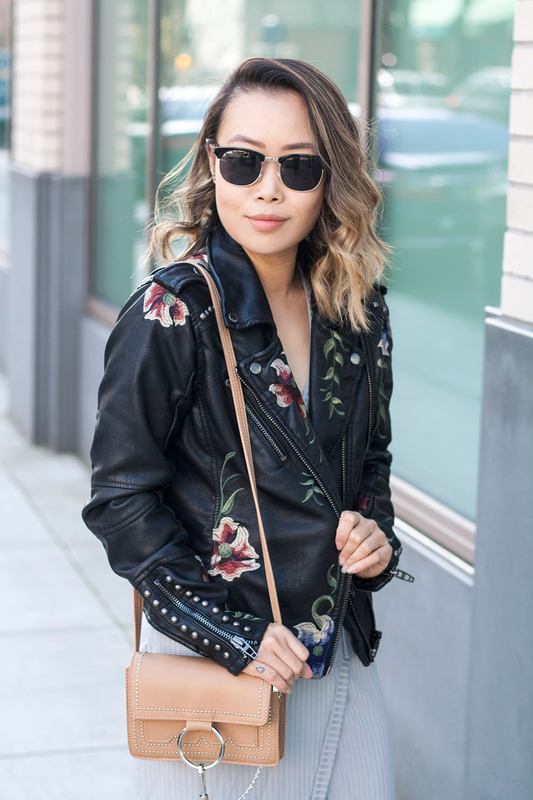 This leather jacket with flowers is perfect for spring days.